Message From Angel L. Rivera! Hello and thanks for visiting InspireToWin! InspireToWin.com is a new site/blog that I personally started to help inspire, motivate, and educate everyday people and especially those who are thinking about pursuing the life of an Entrepreneur! Whether its via a traditional business or in the Direct Selling Industry – all the quotes, blogs, videos and links are designed to help you succeed and win in life! 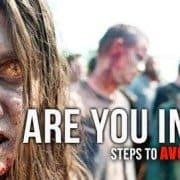 As a business owner, father ( 1yr old son and a baby on the way ), and husband I understand what it takes to make it in life and business… However, my main motivation for creating this site is to document and write about my journey into success and how you can benefit from the same steps I take everyday! There just feelings and feelings are never the true barometer of success nor should they be the sole deciding factor of our decisions! As my wife and I personally embark on our journey we have, will continue too, and are still educating ourselves on how to combat the thoughts and the criticisms and or negativity of those around us! Our goal again is to share our story, inspirations, trials, and victories as we reach our goals and dreams! 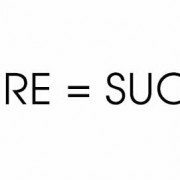 FOOD FOR THOUGHT… How many people do you personally have in your life that are successful? Do you have coaches, mentors, and or positive influences in your life that encourage you to be and do better in life? – QUICK NOTE: I know you may have your own definition of success… What I’m referring too is success in all aspects of life… Health, Family, Finances, Freedom, Happiness, and Spiritually in tune with your purpose. If your absolutely 100% content with your life and couldn’t be happier, I commend and congratulate you! We were made for success and although life can throw wrenches along the way… You can get through anything! I will be the first in my immediate sphere of influence to reach my dreams that only come to life when were asleeep… I hope and pray that what I do with this site will inspire you in some way to reach your dreams and goals in life! If we can…. Anyone can… This will be the site that will document that success! https://inspiretowin.com/wp-content/uploads/2010/04/angel.jpg 271 705 Angel https://inspiretowin.com/wp-content/uploads/2015/07/I2W-EnfoldLogo.png Angel2010-04-20 17:21:392018-02-23 07:00:14Message From Angel L. Rivera! Scape Goat... Are You Playing This Game? 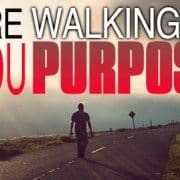 Are You Walking In Purpose? you mad freak! That’s brilliant! Thanks for the comment… Were in the process of making our site more user friendly… It should be up in less than 10 business days. I’m going to coat-tail on what “Very Evolved” said… The way you connect to your audience is… Know who you are writing to. You need to pick a Target Audience and stick to them. You wouldn’t write to an audience of 14yr olds the same way you would write to an audience of 60yr olds.